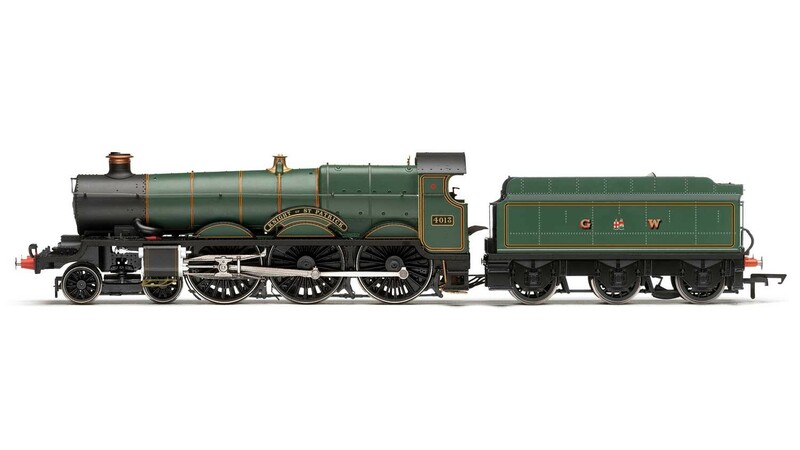 Hornby GWR 4-6-0 'Knight of St Patrick' '4013' 4000 Star Class. Designer: G. J. Churchward, Entered Service: 1907, Number Built: 73, Purpose: Mixed Traffic, Wheel Configuration: 4-6-0, Dimensions: 251mm, Motor: 5 Pole Skew Wound. Loco Drive, DCC Ready: DCC Ready, Livery: GWR, Finish: Pristine.